Dan Blackwell reviews the Minelab XTerra 705 in our latest video. 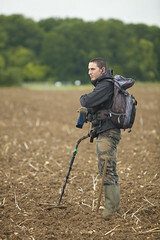 He also gives a brief guide to metal detecting for any budding detectorists out there, or those who just wish to sharpen up their skills. Three of our most avid detectorists recently decided to take to an Essex field and place a small wager on the outcome of the day. Two of the gang are regular contributors to the Joan Allen Facebook & Twitter accounts, as well as our blog, so it’s a great opportunity to get an insight into their trips out and find out a bit more about them. 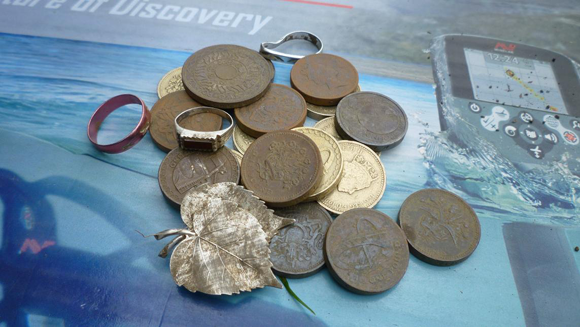 Each of our avid fans bet £100 that they could discover the oldest artefact during the excursion. During their time out in Essex they discover a wide variety of items from differing eras such as World War II and the Roman Empire. The question remains though… who won the bet? N.B. All three remain good friends…even after Daniel’s “ancient” find!